Investigators found that early HIV infection, represented by stage 0, is associated with viral loads higher than those in infections diagnosed in later stages of the disease. 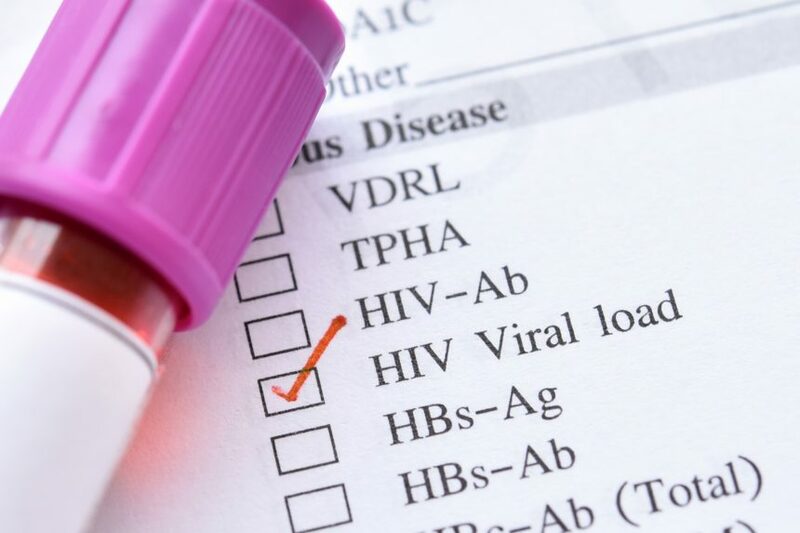 Acute HIV infection is often associated with high viral loads and an increased risk for transmission2-8; therefore, early diagnosis is an ideal time for intervention. Researchers analyzed data from 203,392 individuals from the National HIV Surveillance System of the Centers for Disease Control and Prevention who were diagnosed with HIV infection between 2012 and 2016.1 Early HIV-1 infection (stage 0) was divided into 2 categories: 0a (if a negative or indeterminate HIV-1 antibody test was ≤60 days after the first confirmed positive HIV-1 test, or a negative or indeterminate antibody test or qualitative HIV-1 nucleic acid test [NAT] was ≤180 days before the first positive test, the latter being a NAT or detectable viral load) or 0b (if a negative or indeterminate antibody or qualitative NAT was ≤180 days before the first positive test, the latter being an HIV antibody or antigen/antibody test). Researchers found that in the first week after diagnosis, viral loads in early infections were generally several times higher than viral loads in infections diagnosed in later stages of disease. However, by the third week, most viral loads were lower than viral loads in stage 3. High viral loads in early infections were more common in subcategory 0a than in subcategory 0b, which was consistent with subcategory 0a being comprised of mostly acute infections and 0b comprised of mostly postacute early infections. 1. Selik RM, Linley L. Viral loads within 6 weeks after diagnosis of HIV infection in early and later stages: observational study using national surveillance data. JMIR Public Health Surveill. 2018;4(4):e10770. 2. Daar ES, Moudgil T, Meyer RD, Ho DD. Transient high levels of viremia in patients with primary human immunodeficiency virus type 1 infection. N Engl J Med. 1991;324(14):961-964. 3. Clark SJ, Saag MS, Decker WD, et al. High titers of cytopathic virus in plasma of patients with symptomatic primary HIV-1 infection. N Engl J Med. 1991;324(14):954-960. 4. Fiebig EW, Wright DJ, Rawal BD, et al. Dynamics of HIV viremia and antibody seroconversion in plasma donors: implications for diagnosis and staging of primary HIV infection. AIDS. 2003;17(13):1871-1879. 5. Kassutto S, Rosenberg ES. Primary HIV type 1 infection. Clin Infect Dis. 2004;38(10):1447-1453. 6. Soogoor M, Daar ES. Primary human immunodeficiency virus type 1 infection. Curr HIV/AIDS Rep. 2005;2(2):55-60. 7. Miller WC, Rosenberg NE, Rutstein SE, Powers KA. Role of acute and early HIV infection in the sexual transmission of HIV. Curr Opin HIV AIDS. 2010;5(4):277-282. 8. Wawer MJ, Gray RH, Sewankambo NK, et al. Rates of HIV-1 transmission per coital act, by stage of HIV-1 infection, in Rakai, Uganda. J Infect Dis. 2005;191(9):1403-1409.